Micah Who Cares Your browser does not support the audio element. I Have No Idea Your browser does not support the audio element. Sweetest Song - live at The Duplex, 7/19/11 Your browser does not support the audio element. Gone For A While Your browser does not support the audio element. Rat Race - live at The Duplex, 6/21/11 Your browser does not support the audio element. 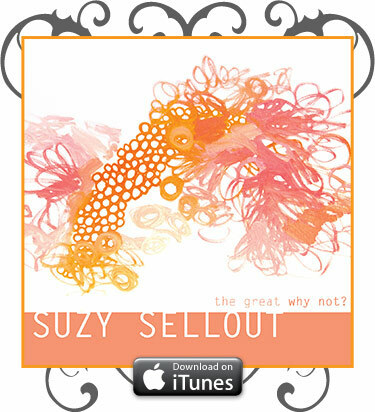 [Suzy Sellout] takes the stage, and takes no prisoners… absolutely wonderful. …Great energy that’s vibrant and uplifting for the soul. Kathrine’s presence is lovely and she holds her audience well with strong lyrics. gentle and playful orchestral pop. If you like iPod commercials or the sultry performances of ivory-tickler, Tori Amos, check this show out. It's personal, and it's real, and it has a story: Her story—yes—but a story we can all look at and say, ‘A part of me feels that way too.’ Her music connects. She connects.